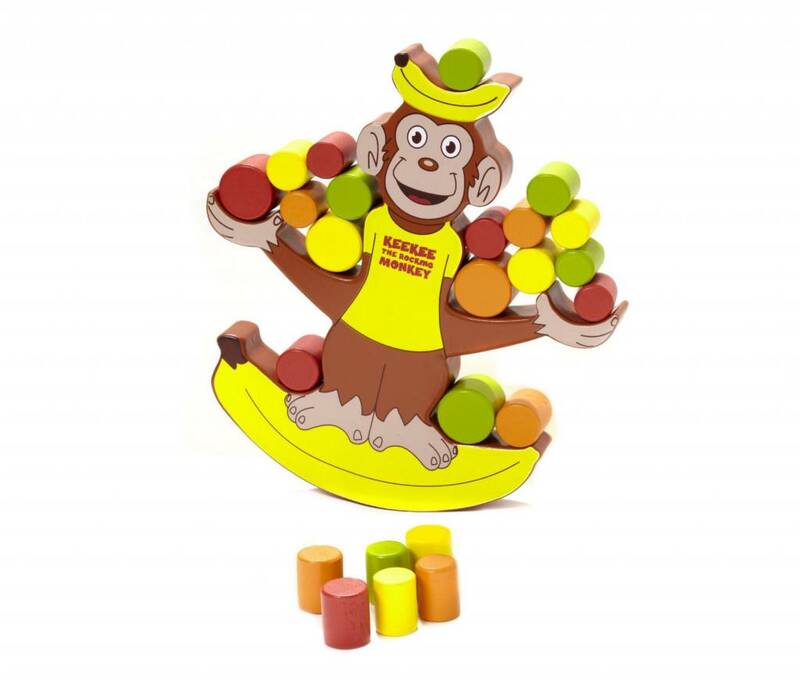 Players take turns placing pieces on the rocking monkey. 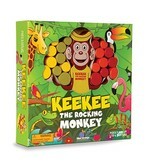 The excitement builds as Keekee sways back and forth... who will knock him over? 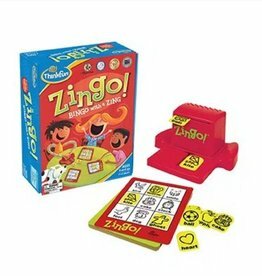 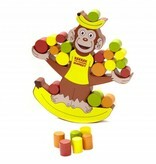 Teaches fine motor skills, risk assessment, and balance awareness. 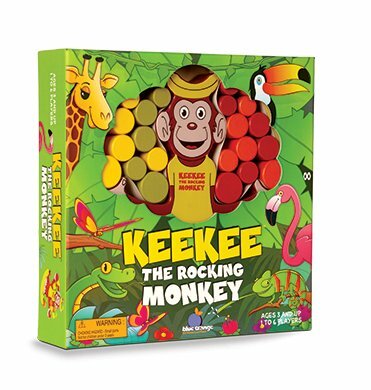 Includes 1 wooden monkey, 24 wooden balls, and illustrated instructions.